For someone who lives in jeans and t-shirts and has more male friends than female ones, this has been a challenge. But I’ve always believed in supporting my kids’ individual passions, so over the years I’ve become intimately acquainted with the many variations of pink, and with every Disney Princess, American Girl and Barbie on offer. We’ve had countless tea parties and played “Pretty, Pretty Princess” more times than I can remember. And I discovered that affirming Hope’s taste, even though it was and is so very different from my own, provided a boost to her self-esteem and gave her the confidence to be both feminine and strong at the same time. This has been more significant than you might imagine. Hope has a physical disability that requires her to wear leg braces, so her self-image has been vulnerable from time to time. But her own absolute faith in her beauty, femininity and grace has made that her reality. It also led my mother and I to an idea for a children’s book series, The Very Fairy Princess, about a little girl who so believes she is a fairy princess that she overcomes all the naysayers and obstacles in her path. Isn’t princess a pejorative term? 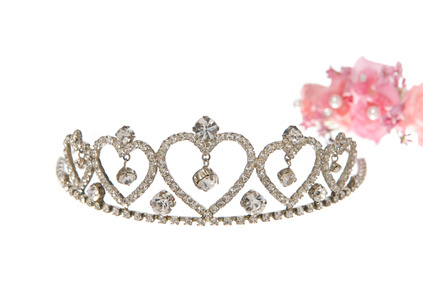 Should we really be encouraging girls to aspire to be princesses? Won’t that make them shallow or materialistic? Aren’t there already a glut of princess-themed books in the marketplace? So now we find ourselves launching National Princess Week, April 23-29th… and in preparation for the event, I compiled a list of over seventy modern-day princesses and their causes for our young readers. As I did my research, I experienced a shift from paying lip service to the good work that princesses do, to gaining a newfound respect for their real value and contribution to the world. From their charitable endeavors – which are extensive and varied – to their dignity, strength and individuality, it turns out that princesses are, in fact, terrific role models for girls. Oh what a lovely post Emma! Like you I love wearing T-shirt and jeans, but there are times when I will happily dressup, even if it requires wearing a tiara…lol. Already having the first two Very Fairy Princess books sitting on my shelf I can see where you get your inspiration from. Hope certainly sounds like a fiesty, determind, loveable child and one who would inspire encouragement, strength, joy, grace and all good things in her peers and those around her. Seventy Princesses! really! Where will we see this list? Can’t wait for Princess week, sounds like it will be a wonderful and eventful time especially for you and your family. 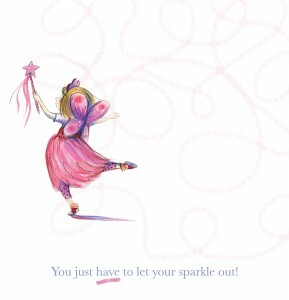 All the best for the new Very Fairy Princess book debut, Emma and Thankyou! What an inspiring and empowering post, Emma. I so appreciate that you’ve taken this in-depth look at princesses, to show us that it’s not about glitter and superficiality. Even when I was a child, it was the real people behind roles and glitz and glamour that I truly admired, and I’m so grateful that you’re encouraging kids now to do the same, to find the inner sparkle beyond the outer glitter in those they admire (including book characters) and most importantly, to find the inner sparkle in themselves. I will be linking to this post, likely more than once, in my week-long celebration of Princess Week on my blog next week. Thank you. And a special thank you to Hope, who inspires me. What a lovely post, Emma. Like you I am happiest in my T-shirt and jeans, but also happy when called for, to change into dressup even if it means wearing a tiara. As one who has the first two books of Very Very Princess already on my shelf, I can see where you get your inspiration from. Hope’s loveable, fiesty, determind, encourgaging, joy and grace surely insires her peers and those around her. Seventy Princess! Really! Where will we see this list? I look forward to Princess week, and appreciate this will be a very busy time for you and your family. Congratulations and all the best on the new Very Fairy Princess book debut. All the best Emma and thankyou! Loved this post, Emma. Hope’s sense of self worth and value is truly inspirational to me (and obviously has been to Gerry too). To be honest the message of being whomever you want and letting that sparkle out is relevant to everyone! I am excited to read #3 and wish you a fantastic launch and Princess week! Thank you so much for posting this, Emma. Far too many people emphasize the outward appearance, when it’s what’s on the inside – especially in the heart – that really counts. My daughter, Heidi, is 15 months old, and I can already see how her little personality is developing differently than mine. I was painfully shy, even as a very small child. She is outgoing, “talkative”(in her 15-month-old speak), and quite a little ham. We are both blessed in our own ways, and I would never hinder her from becoming who she will be when she grows up. She’s the love of my life. Thank you for offering a reminder, through the “Very Fairy Princess” books, that it’s our inner spirit that shapes who we are and who we become, not what we look like in our clothes. Beautifully said, Emma! Every child is an individual and deserves to be the best they can be. With my children, I took them to history museums, art galleries, plays, musicals, park concerts, libraries, science centers, etc. to give them the experiences with which they could determine what they enjoyed. Both of them found where they sparkled the most. And that was totally different places for each one. Follow your child where they want to go, help them explore all the world has to offer, and then you will have a child who can draw on that experience to really be themselves. Being themselves is the best they can be. What a beautiful post and such an honor to your daughter. Isn’t it wonderful what we can learn from our children? Theoretically we’re here to teach them, but so often the opposite happens. Congratulations on the launch of your latest book in the “Very Fairy” series! Really loved the post Emma. Sounds like your young princess has been your teacher! Congratulations on the new book launch! A lovely post, Emma. I was not a princess as a child but a tom boy. But I enjoy reading even children’s books, and sharing them with my grandchildren is a joy. I am enjoying all the interviews this week with you and your mom. Sparkle does come from inside, and at times we really don’t realize that we have it. But there is something everyone can do if it is no more than give a smile to a lonely person. I love Geraldine!!! She has given another side of being a princess, and she has brought joy to many lives, I am sure.